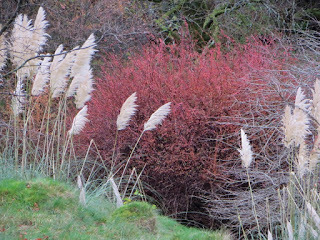 early December. 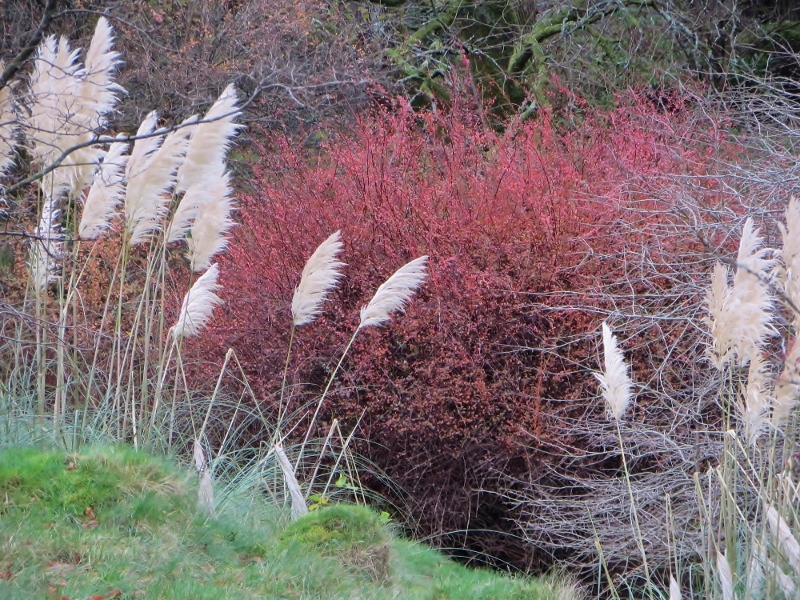 A berberis provides a fiery backdrop to the pampas grass. 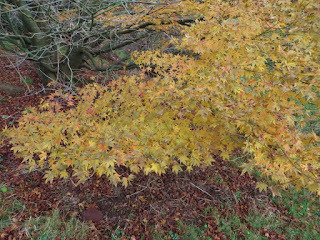 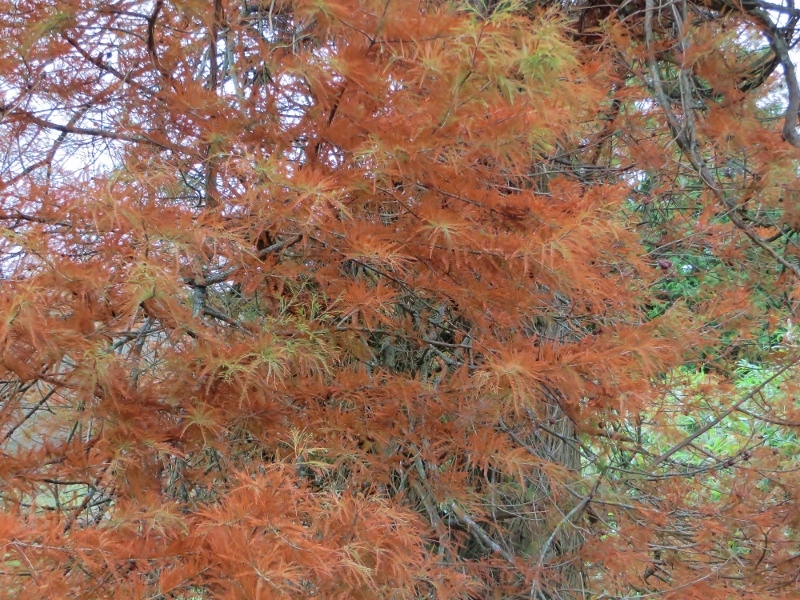 Acer palmatum Corallinum, the coral bark maple, is a rare and distinct cultivar.